You can’t know where you need to go next without knowing where you currently are. KNI helps clients comb through current site traffic stats, examine the efficacy of your inbound structure, including your current tracking, and then map that existing inbound structure out into a more enhanced potentially revised suite of pages and a site architecture that better reflects those inbound goals. One of the most insightful and foundational components of any good Marketing plan is knowing your keyword landscape and discovering what words and phrases are essential to your search engine marketing strategy. One of the many joys of working with KNI is watching us during a live wire-framing session. 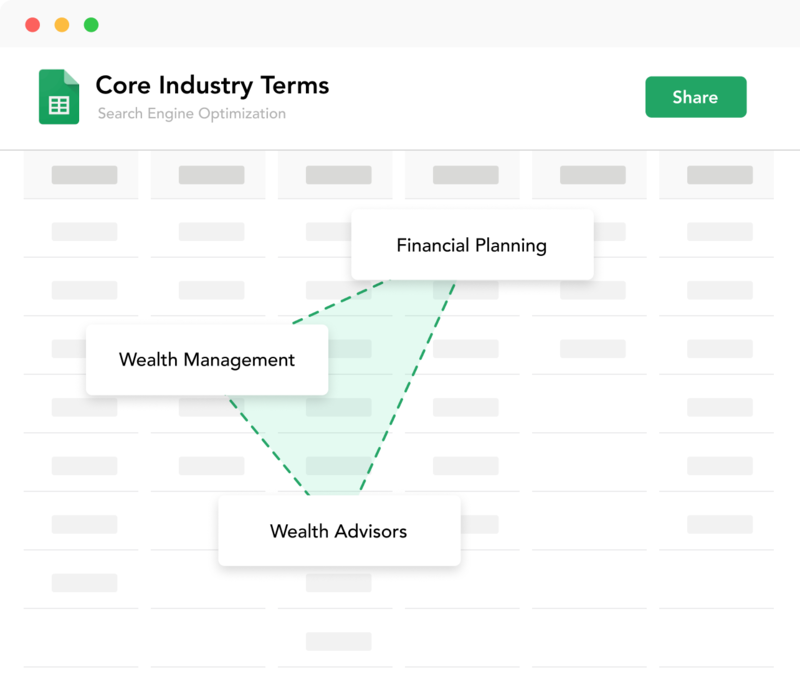 In 60-90 minutes we’ll work collaboratively with you to bring a blank canvas to life in front of your eyes, visually articulating site maps, user goals, content buckets and, of course, the various CTAs and conversion moments across your fleet of pages. We continued this process all the way through the entire site or suite of pages you’re looking to overall or maybe even just tinker with and retune, periodically. Polishing the design through collaboration. 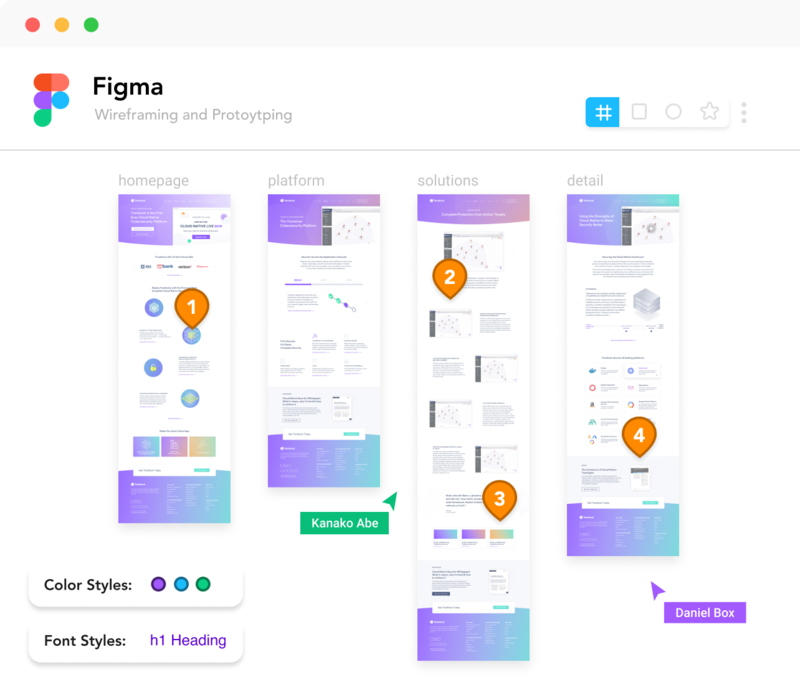 Once a page’s wireframes are completed polished design work happens, in Figma, the best design collaboration and prototyping tool on the planet. 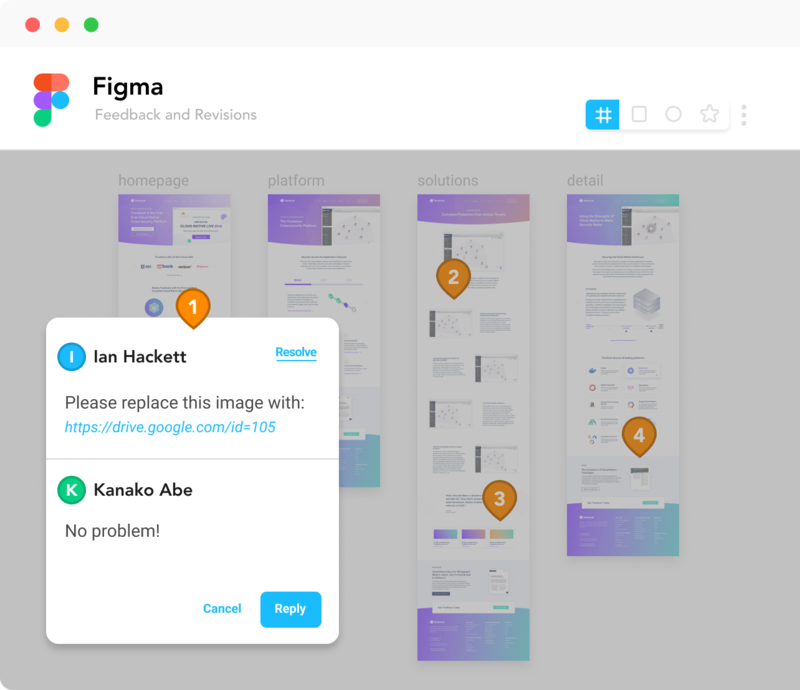 In Figma, you’ll be able to leave comments and feedback, update copy blocks, and, in some cases, watch, in real time, as the design team updates something you’re working on together. Collaboration, transparency, and efficiency making for a happy client/agency friendship. Review, Comment, and Share with the Team. 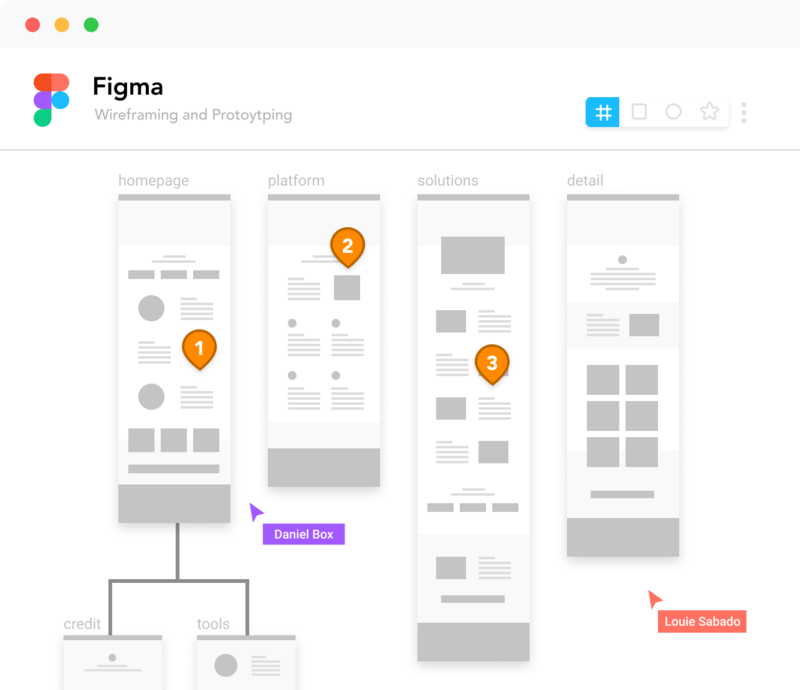 The collaboration continues across your suite of pages as we work to crystalize copy, user-flows, content, infographics and visualizations across all pages in the deck, polishing and readying each page, for the build team. Build-ready assets and files are already prepped and easy for the build team to run with the minute a page is approved for build. Every client has a channel or two. 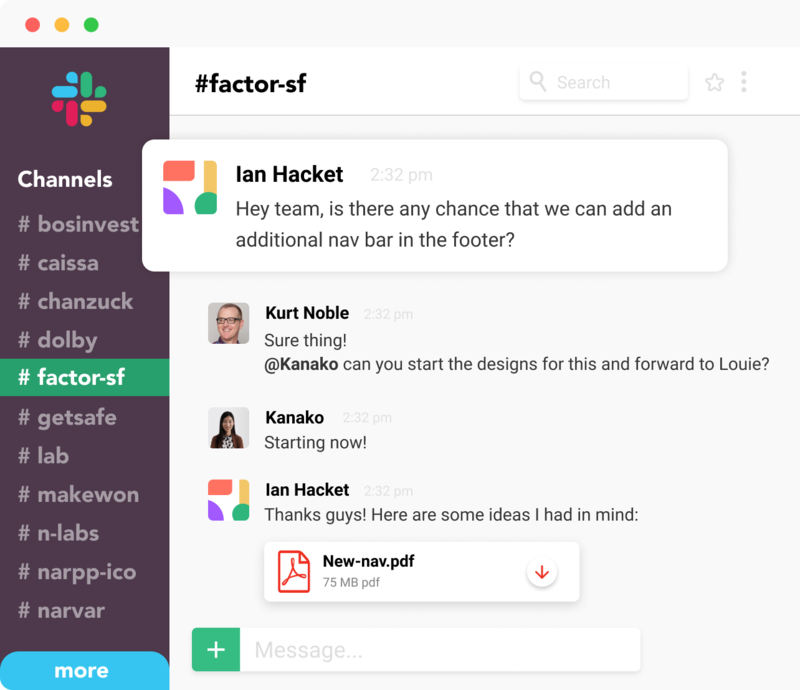 The hub of all your projects is, of course, your slack channel. 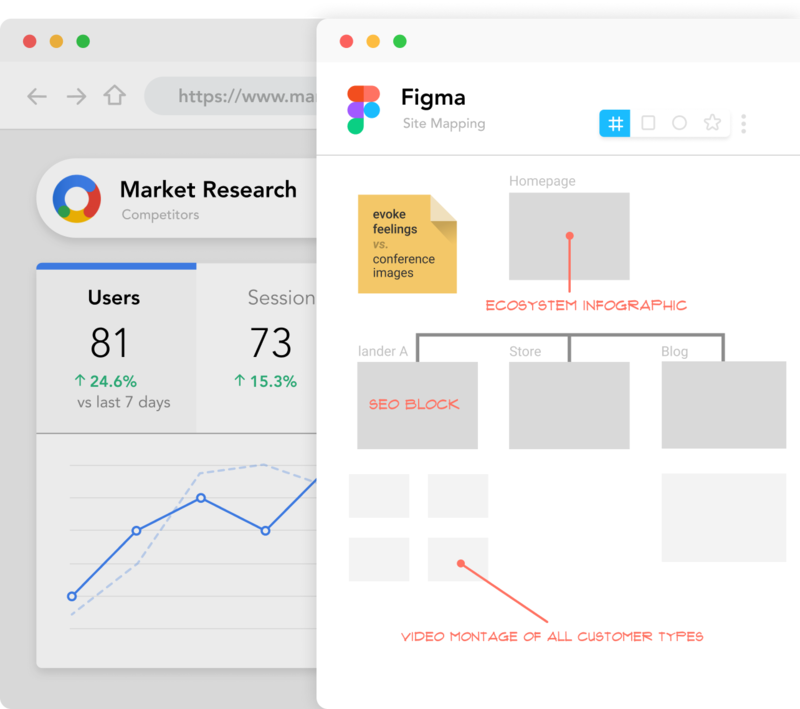 Here you’ll watch all of the project activity, have direct access to team members and keep apprised of updates in Figma, as well as the build and other aspects of the project, as they’re being updated in real-time. Simply tag your favorite team member with a new request and watch the magic unfold, as status updates and build commits are seamlessly and transparently executed, and automated updates keep you apprised, in your own dedicated Slack Channel(s). 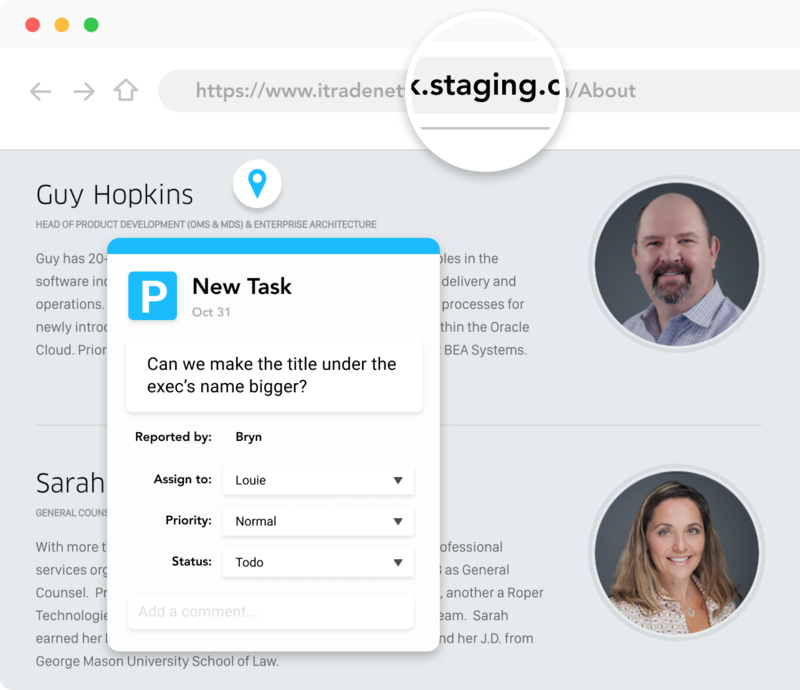 As pages get front-end developed, KNI will post important updates to your staging site, allowing you to start reviewing the build as it’s being updated on staging. If you spot something you want us to update, Pageproofer will allow you to drop comments directly into the build and those will show up in Slack, alerting us that you’d like to update some copy or maybe you found a bug. Page Speed & Accessibility Testing. It’s become increasingly important, as you near launch, to begin testing the site’s pages for both Page Speed, and Accessibility scores. 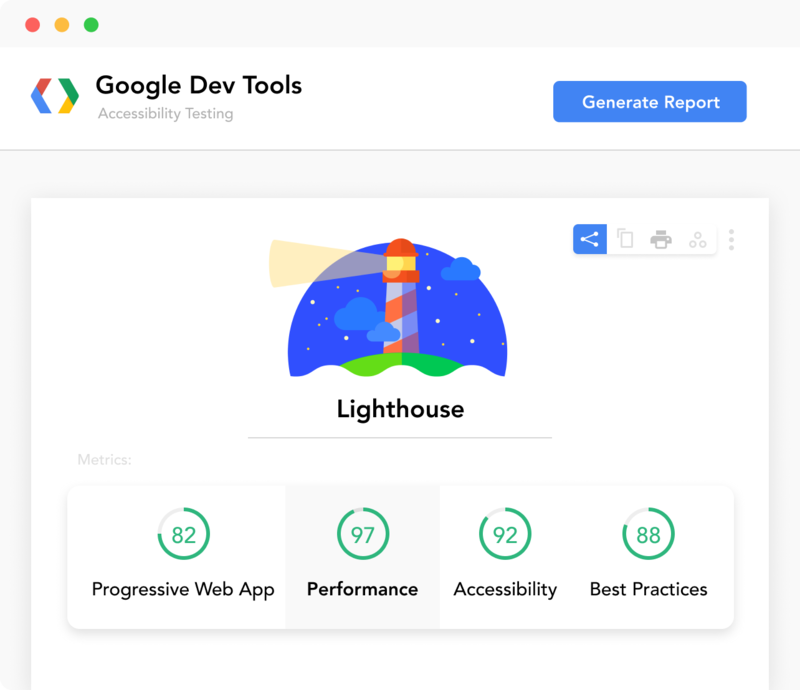 Using google Lighthouse, KNI will comb through the build to ensure that page speeds and accessibility scoring is where you need it to be. 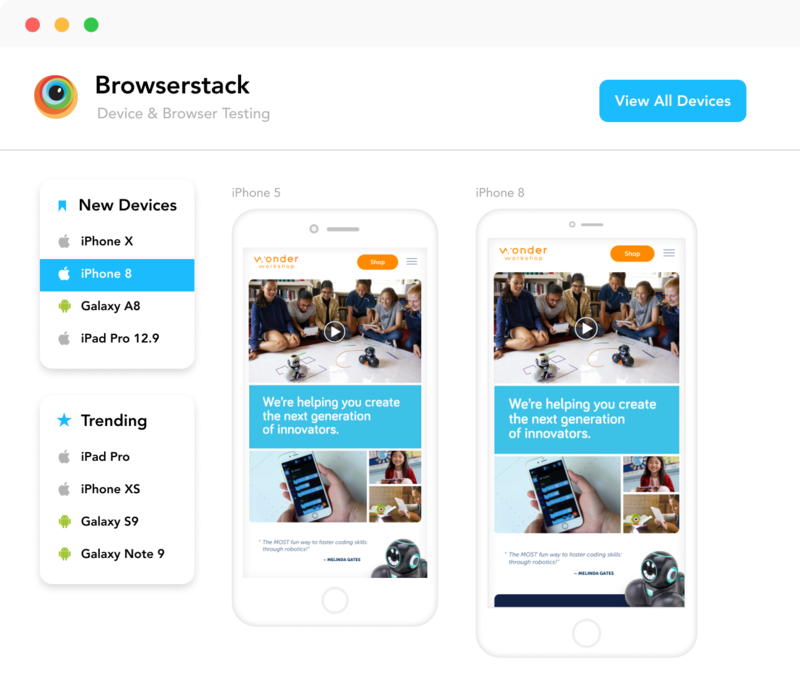 As page edits and content tweaks settle it’s time to move QA-ready pages into the Browserstack tool to test each for functional compliance across the landscape of browsers, operating systems, and of course mobile and tablet. 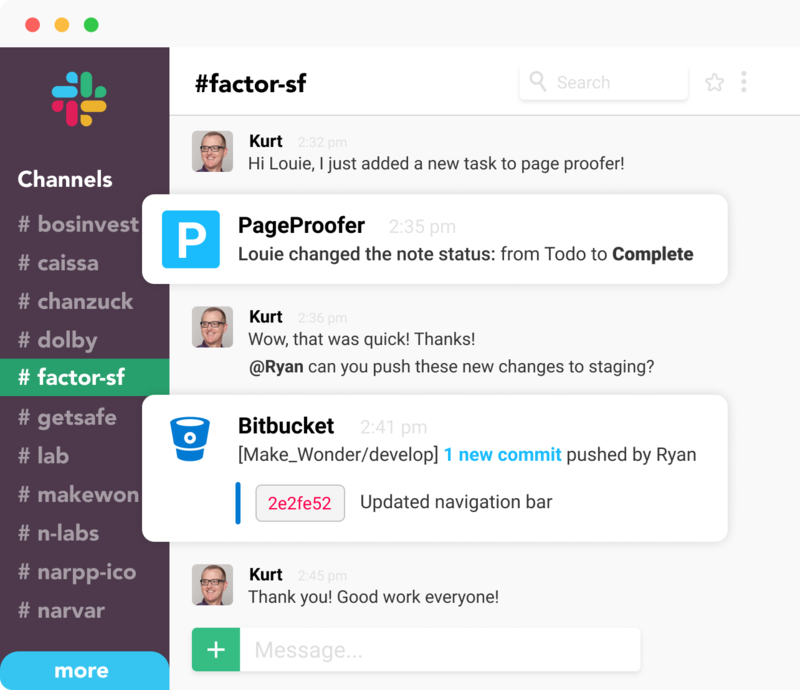 Bugs can be logged into pageproofer and slack alerts go out to the front end team. Of course, once sites and pages go live, the work, in many cases, is just beginning! One of KNI’s biggest strengths is our track record of being able to handle the ongoing, on-demand nature of all things digital. Never fear, your Slack channel is there for you and the team is at your fingertips for new requests, tweaks, updates and the myriad array of your day to day needs.